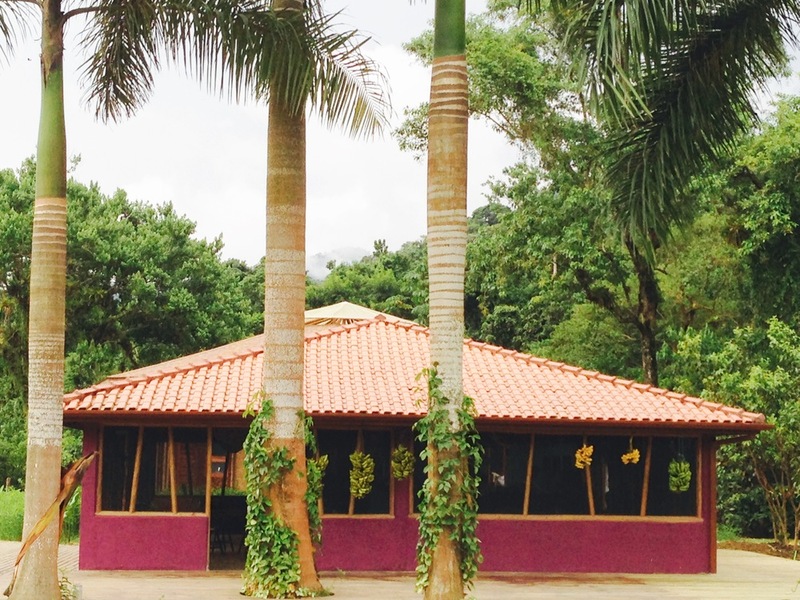 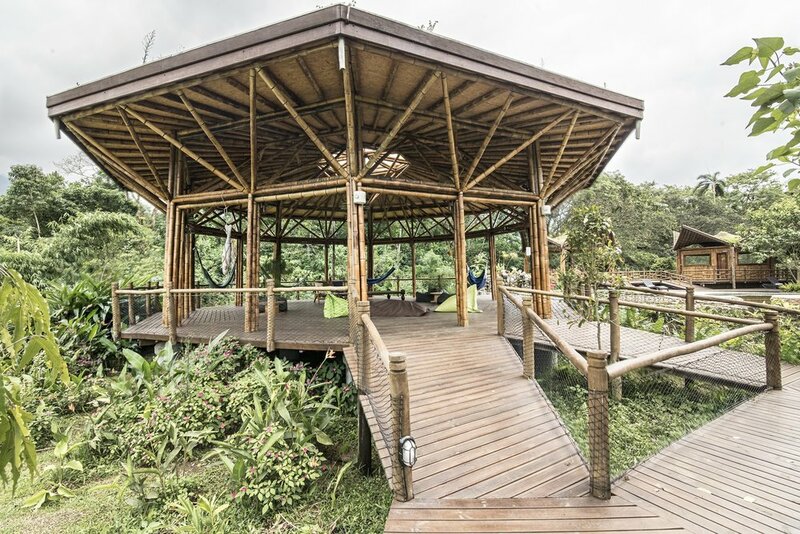 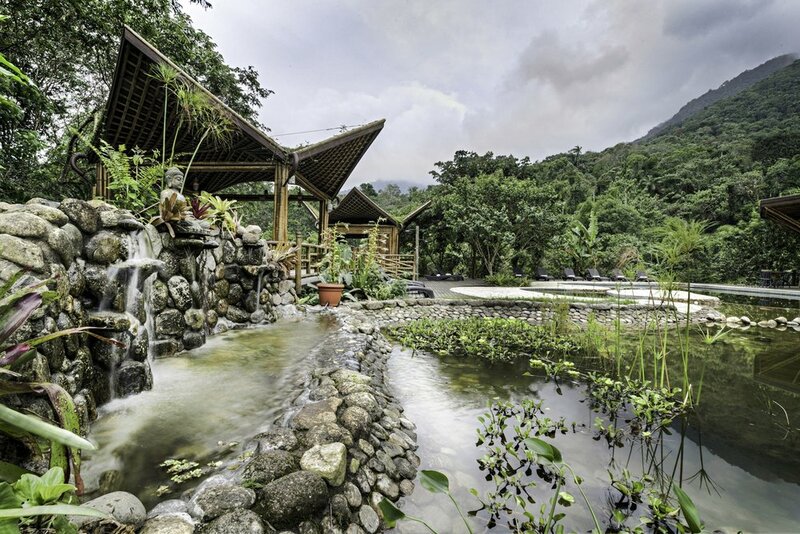 The Bananal Ecolodge has many suspended structure that use techniques of construction with bamboo, inserting with harmony in the landscape and ensuring the minimum impact in the environment. 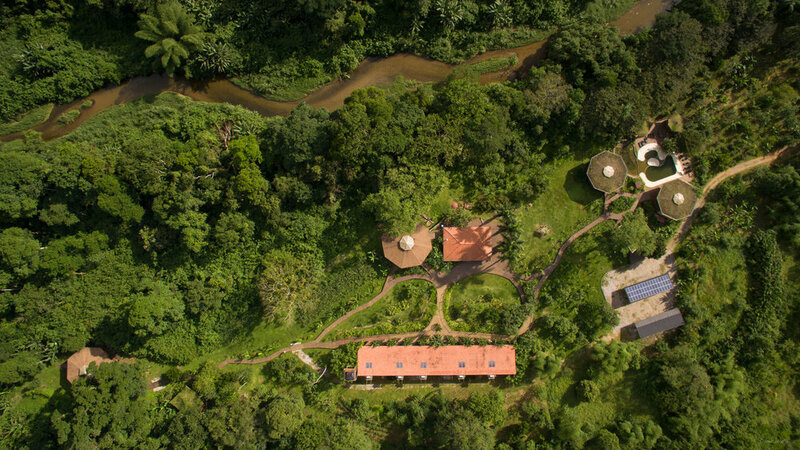 These structures are built for different events – social, cultural, corporative, educational, ecotourism, connected with health and well-being. 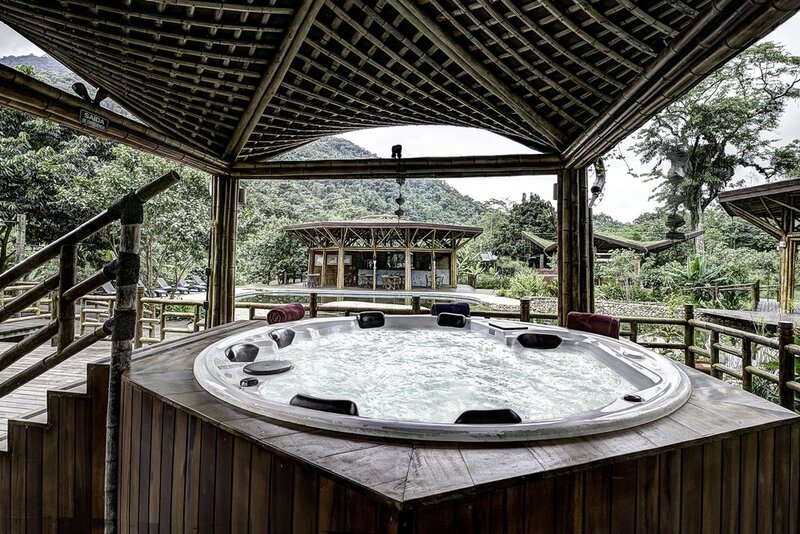 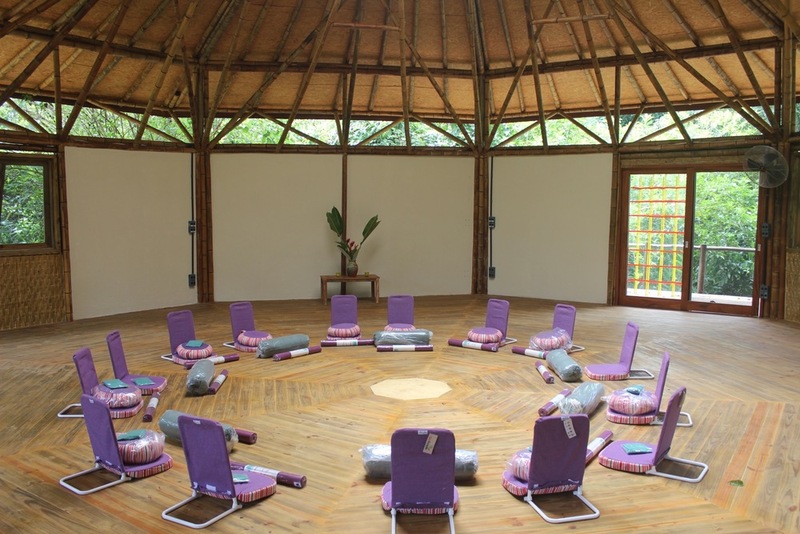 The spa area has a massage kiosk, a 150 square meters room designed to yoga practice and other body activities, it has the capacity for 30 people, lounge with puffs, hammocks, bio swimming pool and steam room. 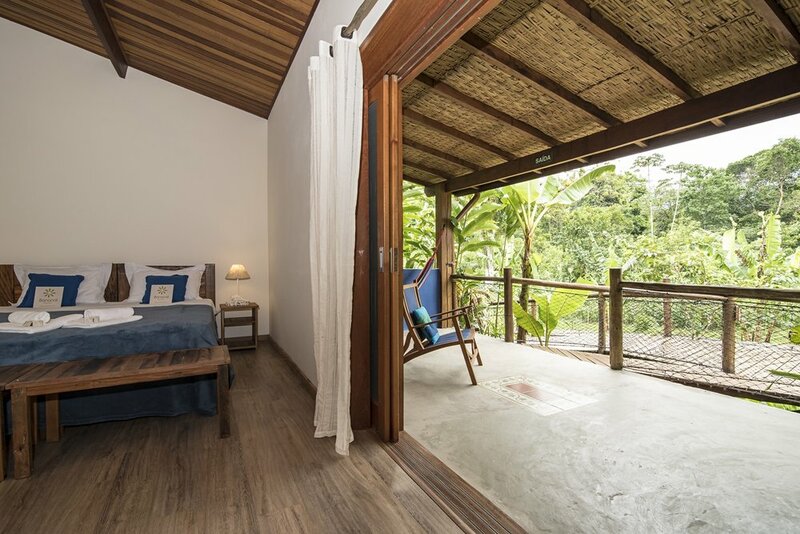 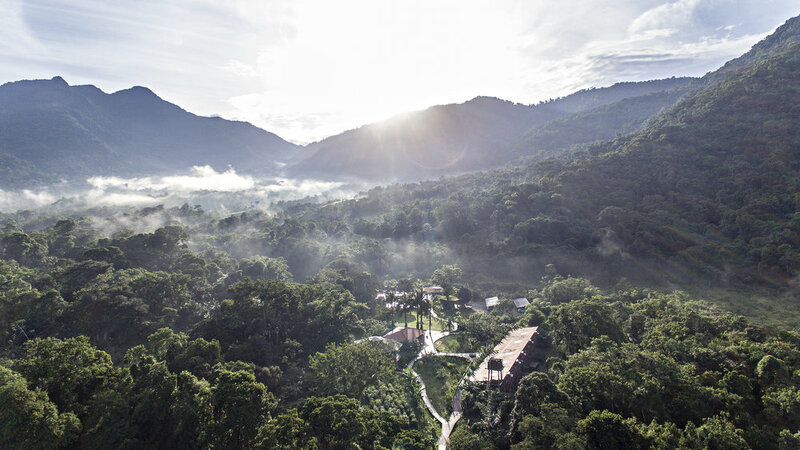 The accommodation area has 10 suites with a balcony, divided by natural elements and surrounded by a landscape project that values the tropical species. 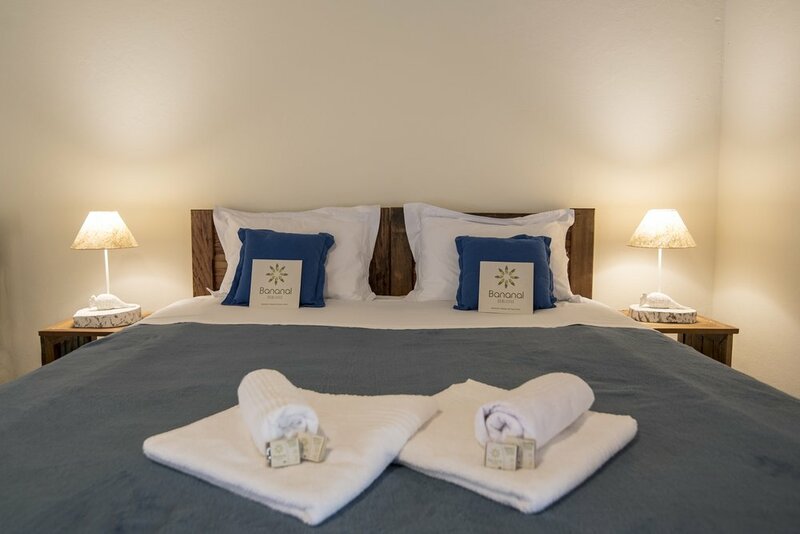 Each suite has accommodation for three people , with the possibility of an extra bed. 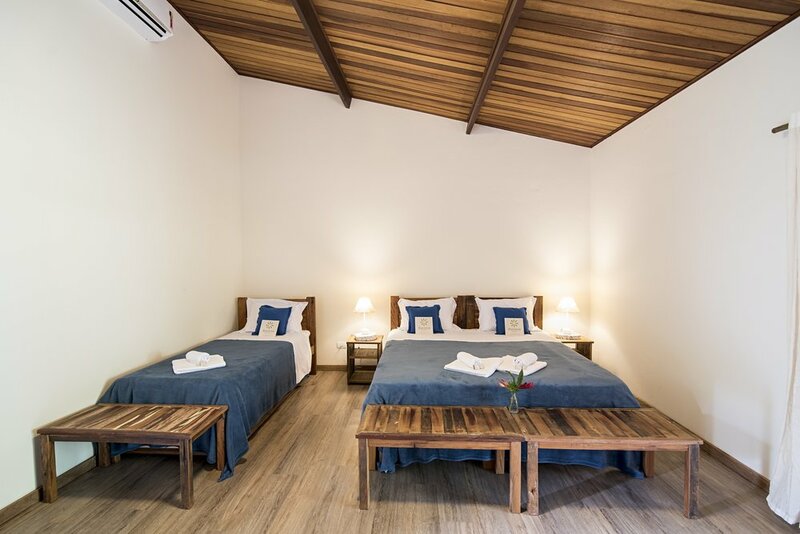 The rooms are very comfortable and although it helps the natural ventilation, there are fan and air conditioner. 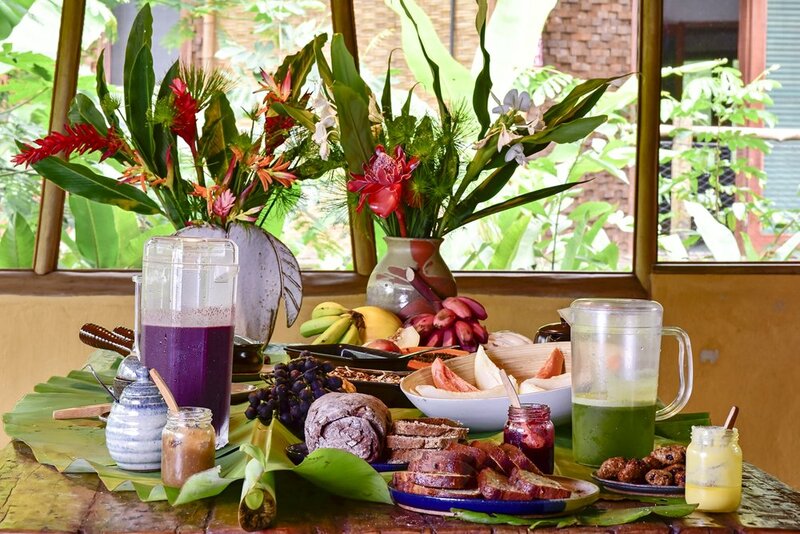 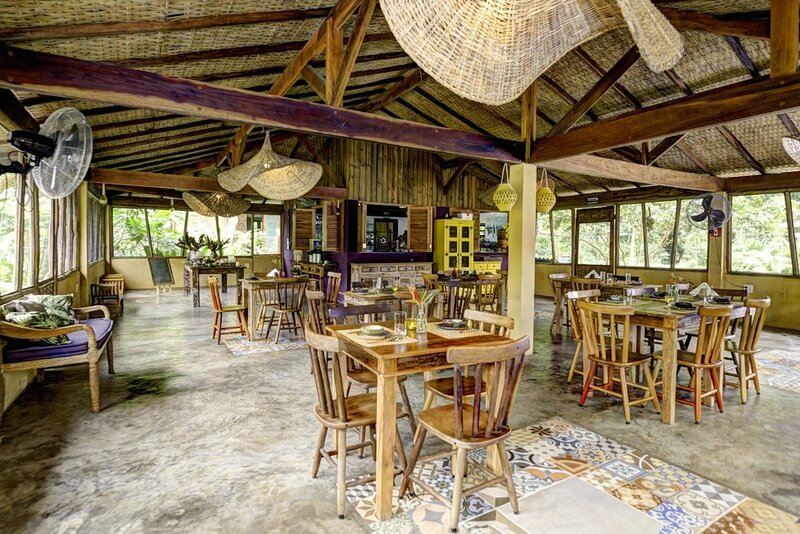 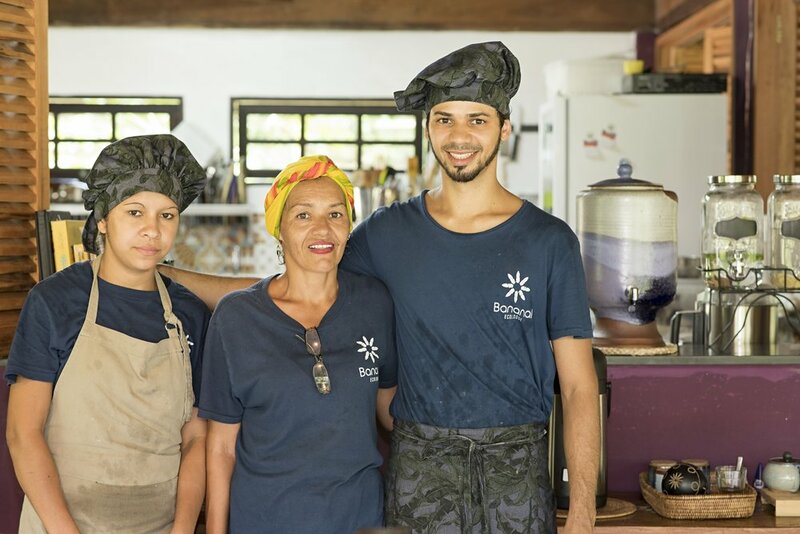 In the restaurant with the capacity for 60 people, we offer healthy food elaborated with foods cultivated locally. 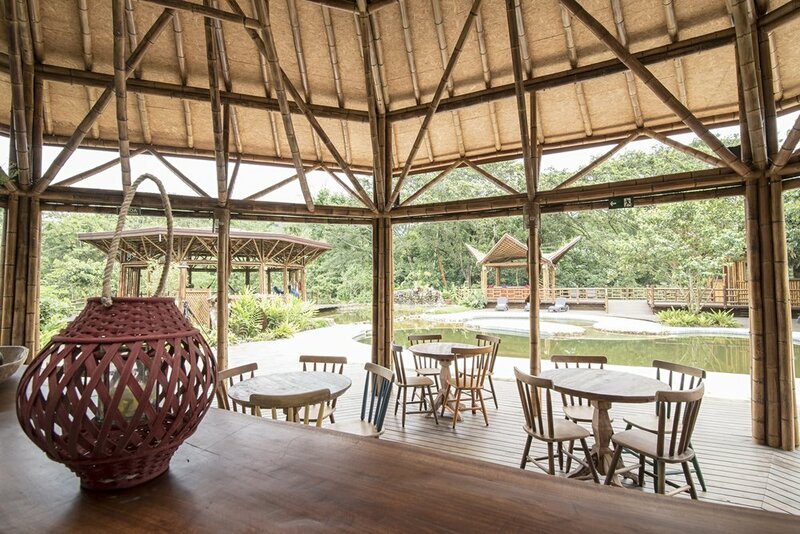 For social events, such weddings and other commemorative dates, there is a social area with the capacity for 140 people.